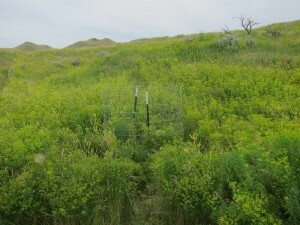 In coordination with Nathan Lindsey (Manager of Conservation and Stewardship at Apache Foundation), Charlie designed, constructed, and monitored a set of six grazing exclosures on the ranch during July and August, 2014 to begin quantifying the effects of grazing by sheep on leafy spurge. We are hoping that this on-the-ground research will help to enhance the management of invasive species on the ranch (closely paired with our Google project). 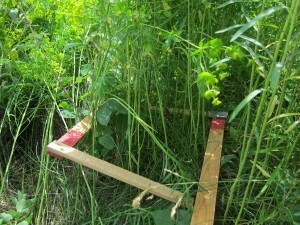 Charlie set up three exclosures each in North Alkire and North Stone House pastures immediately prior to sheep moving in – measurements were taken before and after sheep grazed in the pasture. The six-foot diameter exclosures were constructed with four foot high fencing and two supporting metal t-posts. 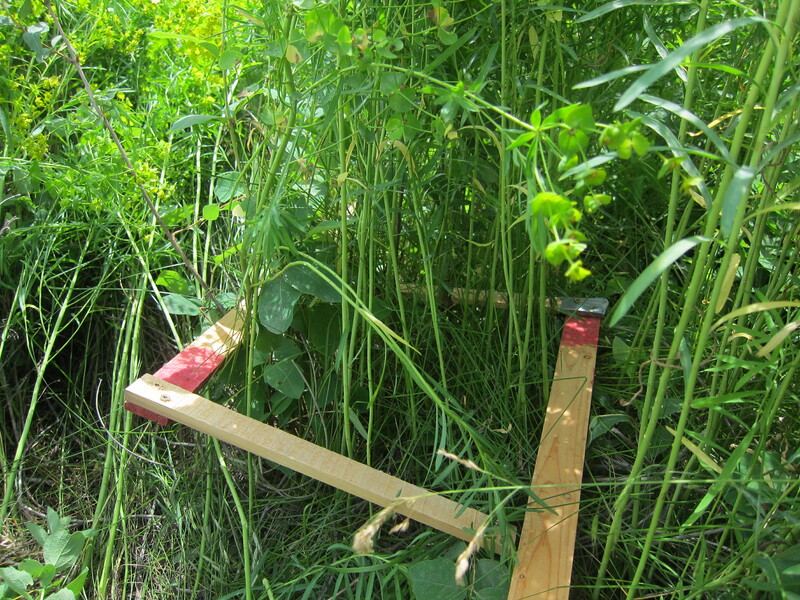 Ten one square foot sample sites were collected proximal to the exclosure, where the number of stems, height, canopy cover, and evidence of browsing of spurge were noted. Identical measurements were taken in control sites within the exclosures. As of August 29th, both the North Alkire exclosures and the Stone House exclosures have been re-visited and measured post-grazing. We hope to use data collected in this initial survey to design larger monitoring studies over the 2015 field season, perhaps expanding our scope to include other livestock species (e.g. goats).